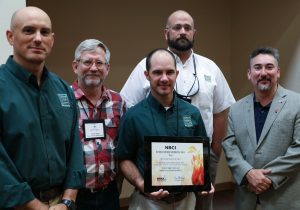 The vast array of approaches individuals and entities can bring to the table in the effort to return wild bobwhites to the landscape never ceases to amaze … and the fourteen 2018 NBCI National Fire Bird Conservation award winners are no exception. 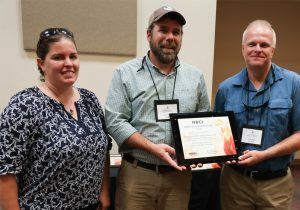 The award’s name symbolizes the historic reliance of bobwhites on fire in much of its range to maintain the landscape in an “early successional” stage, that is, in the native grasses, wildflowers and “weeds” that provide bobwhites with suitable habitat. Both naturally-occurring fires and fires intentionally set by landowners to clear farm fields and woodlots historically resulted in abundant habitat for bobwhites, as well as other wildlife. The term “fire bird” in relation to bobwhites was first coined by naturalist Herbert Stoddard, who researched bobwhites and worked to restore bobwhite habitat in the early 20th Century. 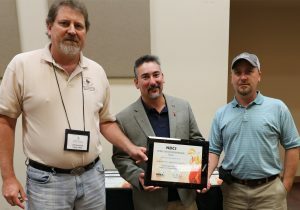 Award recipients are chosen by the respective NBCI-member state’s quail coordinator for their contributions to that state’s efforts toward habitat-based restoration of wild bobwhite populations. 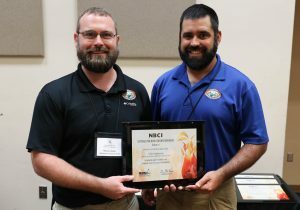 The awards are announced by the National Bobwhite Conservation Initiative (NBCI) at the annual meeting of the National Bobwhite Technical Committee, which was in Albany, GA this year. 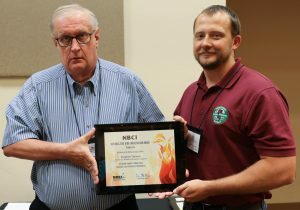 Presented periodically to “a person or group especially deserving of timely recognition and gratitude for uniquely valuable contributions supporting the NBCI’s “lead, leverage and enable” role in bobwhite conservation,” the 2018 NBCI Director’s Fire Bird Award went to Dr. Pat Keyser, director of the Center for Native Grass Management (CNGM) at the University of Tennessee. NBCI Director Don McKenzie said Dr. Keyser is not only well known for his promotion of one of NBCI’s most important goals, the promotion of native grass forage in the East, but “arguably is the person most responsible for enabling the NBCI’s growth and maturation into a nationally capable initiative” by leading the effort to locate NBCI headquarters at the university when a request for proposals for a permanent home base was distributed in 2007. The council had three winter workshops, one for 85 people burning 2,641 acres on 10 burn units, another for 75 participants burning 2,233 acres on eight burn units and one for 50 participants burning 548 acres on five burn units. A dormant season nighttime burn attracted 25 participants who burned 207 acres on three burn units, and a growing season burn attracted 45 participants who burned 503 acres on six burn units. Additional workshops are planned. In 2016, the Arkansas Game and Fish Commission (AGFC) designated bobwhite restoration as an agency priority, but for this effort to be successful significant land use changes on private lands had to occur, one being the increased use of prescribed fire. Clint Johnson, an AGFC private lands biologist, took a lead role in promoting and implementing prescribed fire on both private and public lands. On private lands he developed the “Learn to Burn” program, which is used by all private lands staff throughout the state to educate and encourage the use of prescribed burnings on private lands. Johnson developed the presentations and agendas for all workshops throughout the state, and coordinated and led 15 workshops attended by 300 landowners, resulting in more than 1,700 acres of private lands burned over two years. 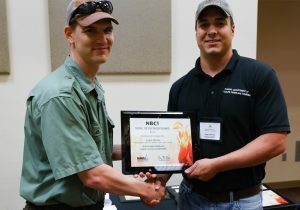 Johnson additionally serves as an instructor at Arkansas’ statewide prescribed fire school, where he teaches new employees from the Arkansas Forestry Commission, AGFC and the Natural Resources Conservation Service about the safe, objective-driven use of prescribed fire. He helped develop AGFC’s prescribed burn qualifications and maintains records of employee completion and deficiencies to ensure all staff are qualified to participate on prescribed burn projects, and serves as one of AGFC’s “burn bosses,” frequently traveling the state in that role. 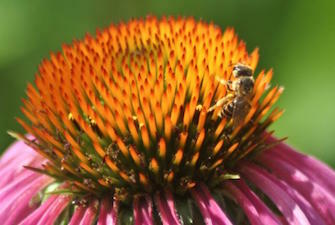 He also annually submits and completes more contracted acres in the state’s Acres for Wildlife Program (provides seed, chemicals and equipment for bobwhite restoration) than any other private lands biologist in the state, while assisting landowners with details such as seeder and sprayer calibration, actual seed planting and tree thinning. 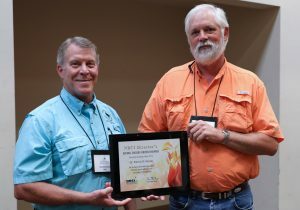 “Clint Johnson has been a valuable asset to not only the private section but also to the entire AGFC bobwhite restoration efforts,” said Marcus Asher, state quail coordinator. 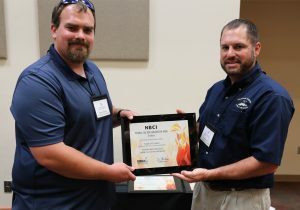 While Sean O’Conner has helped burn over 1,200 acres of bobwhite and been responsible for planting warm season grasses and wildflowers, his biggest contribution has been in staff efficiency. O’Conner developed a system incorporating an iPad to monitor and collect data, “a huge improvement” over past data collection, which was all paper-based notes. All the data is linked to a central server accessible to any credentialed individual. The marching orders for the Georgia Department of Natural Resources Wildlife Resources Division’s Region 5 Game Management Section in 2015 were pretty “simple”…grow quail on four wildlife management areas (~17,000 acres) in southwest Georgia (a regional bobwhite focal landscape) with a primary goal of maximizing quality public hunting opportunities. Results? Approximately 325 acres of brood fields added, burn blocks decreased from a 250-acre average to 40 acres, growing season burns increased from a yearly average of 1,750 acres to 8,754 acres and an average basal area of 40 in pine uplands targeted, requiring coordination between the forest management unit, game management and non-game conservation entities. Two WMAs have already reached the goal of a bird per two acres and staff size swelled from five to 11 with assistance from the Florida-Georgia Quail Coalition. The project ignited renewed interest in quail management and hunting throughout southwest Georgia, stimulating more private landowners to become involved. Logan Martin went from being a “biotech” when he was hired in 2013 to a district biologist 2016 – and the state’s nominee for the Fire Bird Award this year. His district includes four counties in far southeastern Kansas where some of the best quail hunting in the state had been historically found and quail were king. The same area is now described as being “behind enemy lines” in the fight to maintain quail, where major changes in farming practices, introduction of cool season grasses and rapid succession were perfectly aligned to drive down populations. 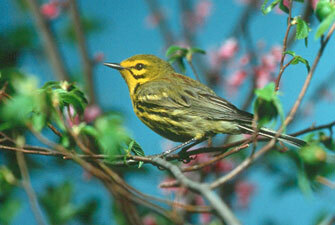 Martin also has played a “major role” in the newly invigorated statewide private lands habitat program, Habitat First. In a state with very limited public land, KDWPT’s private lands programs have long been a major focus. 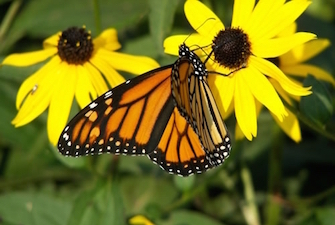 However, because of its increasing complexity both to biologists and landowners, KDWPT chose to create a habitat committee to review, simplify and then grow the program. Martin was asked to lead marketing efforts for the new campaign, working with a contracted marketing firm in the development of a new brand and promotional materials for the program. During the process he ensured the bobwhite was included on the new logo and featured prominently on promotional materials. His experience led to representing the state on the communications subcommittee for the National Bobwhite Technical Committee (NBTC), providing a valuable link between Kansas, NBTC and the National Bobwhite Conservation Initiative (NBCI). “Martin’s efforts to improve habitat within his own district but also look for ways to engage landowners across our state demonstrates his commitment to quail in Kansas and beyond,” said Jeff Prendergast, the state’s current quail coordinator and small game biologist. Kentucky Department of Fish & Wildlife Resources recognized Farm Bill Biologist Madeline Pratt, who joined the wild bobwhite restoration effort in 2012 to complete the first Coordinated Implementation Program (CIP) monitoring in the state and subsequently volunteered to complete an extra third year of monitoring due to the rapidly changing landscape of private lands in western Kentucky. 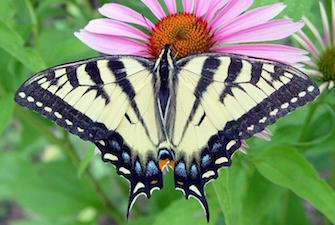 “She has completed more CIP habitat monitoring points than anyone else in the country,” said John Morgan, the state’s coordinator of restoration efforts. “She has been pivotal in training efforts as well, sharing her vast wealth of knowledge in a “train-the-trainers” event in 2015 and again in 2018 at a multi-state CIP training event. Pratt averages almost 1,000 acres of prescribed fire annually, continues to support CIP monitoring with guidance and landowner contacts and conducts spring and fall bird monitoring on the state’s bobwhite focal area. Wildlife Ecologist Max Alleger’s work in the development of “Grazing Best Management Practices for Grassland Birds on Private Lands,” and the development and implementation of the Audubon Conservation Ranching Program “are significant efforts that have the potential to make landscape-level changes to grassland management and subsequent improvement in bobwhite habitat,” said David Hoover, the state’s quail coordinator. The best practices document is designed to help private lands biologists understand grazing management principles and make basic grazing recommendations that meet production and conservation objectives. It includes a detailed list of best management practices that improve terrestrial and aquatic resources in a working grasslands setting and detailed information on grassland and pasture types common in Missouri. It also serves as a guide for determining when to consult with more experienced staff and grazing management professionals to help producers reach their production and conservation objectives. The Audubon Conservation Ranching Program provides an additional market for cattle producers that utilize grazing practices that benefit grasslands birds, including bobwhites. The program is helping farmers and ranchers conserve grassland birds while improving their bottom line by leveraging the Audubon brand to establish a reliable supply chain and drive consumer interest in premium, conservation-friendly beef products, helping producers implement practical, beneficial conservation practices while participating in cost-share and incentive programs, developing market-based incentives that allow consumers to participate in conservation and producers to sell beef at a premium, and create better habitat on working grasslands. Tim and Sandy Shoemaker of Millstone Creek Farms near Hillsboro is the Buckeye State’s 2018 winner. The Shoemaker’s farm falls within Ohio’s Fallsville Quail Heritage Area, the state’s bobwhite focal area. For the past 18 months the couple has worked with the state’s wildlife management staff, the Natural Resources Conservation Service and others to incorporate native warm-season grasses into their rotational grazing system. 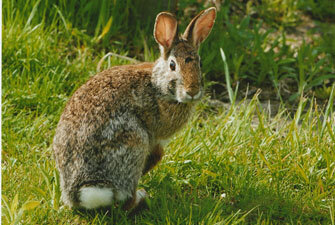 The conversion began before the announcement of the quail Working Lands for Wildlife program across the fescue belt. While the Shoemakers have a bit more than a year before they can start grazing their converted grass stands (so it can’t be called a success yet), they have been willing spokespeople for fescue pasture conversion for both beef production and quail habitat. A munitions storage facility in Franklin County, Letterkenny Army Depot (LEAD) is in the heart of historical Pennsylvania quail country, the location of some of the last known bobwhite sightings and the state’s first Bobwhite Quail Focus Area where the state will begin recovery efforts in the bird’s northern range. 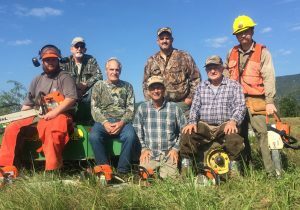 A group of LEADS Natural Resources Volunteers, including John Greenawalt, Jeff Yeager, Gerald Cline, Michael Bowling, Raymond Etter, Raymond Harbaugh and Harold Kauffman, have donated a day of labor each week to complete various habitat improvements. For over a year, this small but dedicated group has shown up at first light with tools in hand to tackle the day’s objectives. Most participants range in age from 60 to 90, and membership requires 140 hours per year in order to hunt, trap and fish on the facility. Most of the participants have over 400 hours. Most work days involve removing overstory with chainsaws, cutting, dragging and working in heavy vegetation in weather that is always very hot or very cold … and they bring homemade snacks to share at break. A private Orangeburg County landowner in the middle of the Oak Lea Bobwhite Focal Area, Jack Vallentine, is South Carolina’s winner not just for personal participation in the South Carolina Bobwhite Initiative on his family land but because of his dedication to reaching out to other private landowners to get them involved, becoming a vocal leader for the project in his community. His proactive nature led to a request for him to be featured in a short video promoting the state’s initiative to other landowners, a video shown around the state. He is also an active participant in the initiative’s Facebook discussions and broadly shares new information from the initiative’s website. “Jack Vallentine is a prime example of the type of individual that the SCBI needs to be successful,” said Michael Hook, the state’s quail coordinator. A wildlife habitat biologist with the Tennessee Wildlife Resources Agency (TWRA) in east Tennessee, Stephen Thomas works with the Natural Resources Conservation Service to deliver USDA conservation practices and serves as a member of TWRA’s Northern Bobwhite Restoration Team, formed in 2017 to guide bobwhite restoration statewide. Over the past year, Thomas was charged with leading a “subject matter action team” that developed decision-making tools and processes for evaluating TWRA’s first NBCI Coordinated Implementation Plan bobwhite focal area. “His technical expertise and leadership were critical to the success of this process,” said Roger Applegate, state quail coordinator. Project managers include Jess Oetgen, Matt Reidy, Doug Jobes, Josh Turner, Mark Lange, Bobby Eichler, Charlie Newberry, Raymond Sims, Dan Davis, Laura Sherrod, Erin Wied, Dan Davis, Jamie Killian and Jon Hayes. 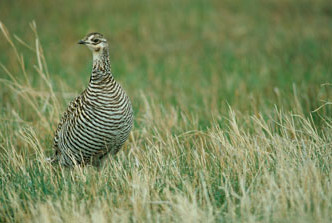 One aspect of quail conservation on private working lands is that monitoring and follow-up can be challenging. Virginia Working Landscapes (VWL), a program of the Smithsonian Conservation Biology Institute with a focus on maintaining species diversity and conservation compatible with working lands, reached out to the state’s private lands biologists to offer help in assessing private properties where state quail team members had done significant wildlife habitat work. Their intensive efforts in a multi-county region led to specific research on the gains in wildlife diversity seen from quail habitat management. 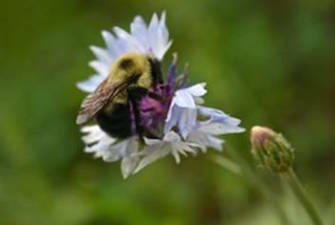 Additionally, their reports to landowners were instrumental in keeping landowners engaged, which, in turn, stimulated communitywide interest and “friendly competition” among landowners leading to more habitat creation. VWL staff have partnered with the state private lands team on numerous field days and outreach events, and routinely refer new landowners to private lands staff. In addition, they have become an instrumental partner in the establishment of a second NBCI focal area in Virginia, in conjunction with Manassas National Battlefield Park, attending a multi-day workshop on NBCI’s Coordinated Implementation Program (CIP) and offering to help with the intensive monitoring required by CIP.